Argentina might seem an unusual place to teach the principles of the European Reformation, but as CMS missionary Terry Blowes (serving with Peter) reports from a recent conference, the Reformation message of grace alone rings out clearly from the book of Galatians and needs to be heard in Latin American churches. As followers of Jesus, how are we to think and speak in conversations and debates about the gospel? In this extract from his contribution to a recent book, Stefan Gustavsson argues for us to follow Jesus’ example throughout the gospel. Stefan will also be speaking at CMS Summer Conferences in January 2018. 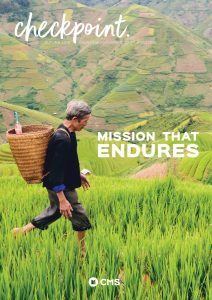 Traditional theories of mission emphasise reaching the elder(s) of the group, usually men, who will then bring the gospel to others. But is this right? I assists in training missionaries at CMS’s St Andrew’s Hall. Here she identifies women of major world religions as an unreached people group. Reach them, reach the world.